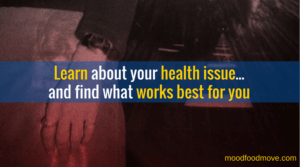 Why knowledge is key… learn about your health issue! Depression for you, is different from how it is for me. Addiction for will be different for you, compared to the guy sat next to you at AA. That’s why there isn’t a one-size-fits-all treatment or program for depression, or addiction recovery. It will take time to observe and discover what works for you, and what doesn’t. When you’re at risk, and when you’re ‘safe’ from dips or flare-ups. That journey of learning about your health issue – how it manifests in you – is very important, and very valuable. Below some reasons why. The central reason is because you are unique. Your age, lifestyle, family history, life history, personality, general health – all come together in way that is uniquely you. They make you quite different from the next person who walks into your doctor’s office presenting with the same mental health issue as you. Other folk with depression or addiction are similar to you, but they are not the same as you. This is why no single depression/addiction treatment works for everyone. Make it your mission to discover how your health issue manifests in you, so that you can find what works best for you. 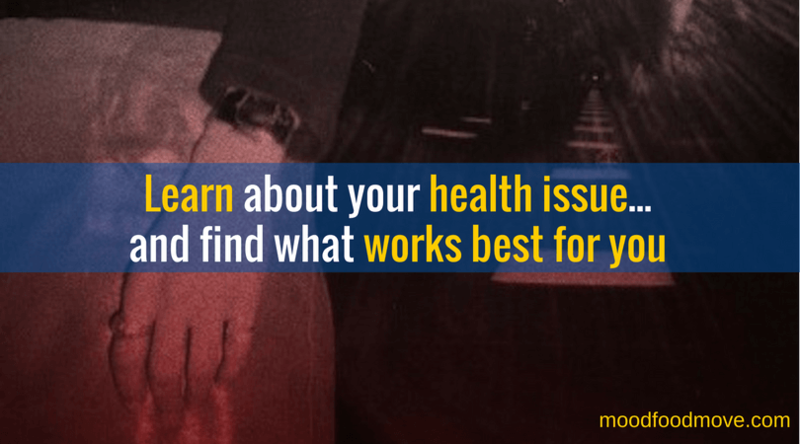 Make it your mission to discover how your health issue manifests in you, so that you can find what works best for you. We who suffer with depression and addiction can feel as if our symptom flare-ups occur without any reason. It can seem as if these flare-ups just happen to us… and that we have no control over their severity or duration. However, the more you learn about yourself, the better you’ll understand your physical, biochemical, spiritual, psychological and social needs. And the more the timing/type/intensity of your symptoms will subsequently begin to make sense to you. You’ll understand how the ebbs and flows you experience are not in fact random. It is that understanding which confers agency on us. One of the most dispiriting things about achieving good mental health is how can precarious it can feel. You may have the impression that if you didn’t do everything absolutely perfectly you’d relapse. You ask yourself why is your mental wellness stacked like a house of cards? Why a single wrong move leads to its collapse? And why that collapse is outside your control? Well, that’s not so – in fact as you learn more about yourself and what you need to remain stable and healthy, you’ll understand why dips in mood happen to you. This knowledge and understanding gives you more direct input into minimizing the effect of dips in mood. You are not a victim of your mental health, you have control. It is particularly brutal how mental health issues erode our sense of self-trust. How many times have we felt that we’ve again let ourselves down, having once more relapsed into addictive behaviours or depression? We blame ourselves for not being more vigilant or for making poor choices. It’s quite unfair to do this to ourselves for the following reason. Until you know what pieces you need, and how they fit together to constitute a stable lasting recovery… of course you’re going to guess wrong. A couple of wrong guesses and you may spin off into the cycle of relapse. With self-knowledge you can trust yourself, because you know you haven’t let yourself down. It’s just that certain risk factors weren’t prioritised or noticed. Because you are unique, you have unique recovery needs. For your stable recovery some elements of your recovery program will need closer attention than others. For example you may find you are more vulnerable to the effects of not getting enough good sleep than most people, or your mood dips noticeably after a couple of missed meals or junk food meals. By knowing this about yourself you can put contingencies in place so you are able to prioritise and protect your sleep regime, or have healthy meals/snacks on hand for times when you might be too busy or stressed to cook. Without the knowledge of what’s specifically needed to keep you safe and stable, you can’t be expected to know what parts of your recovery routine to protect. Without this you spin into an obsessive over-protection of everything. Through self-knowledge you may discover that you can go without a week of AA meetings without it affecting your mood/sobriety. Yet you can’t miss your therapy session, or pig-out on chocolate, or have two late nights in a row without having a negative impact. By knowing yourself you discover wiggle-room. In so doing your life gains space, with recovery being an vital component of your life, rather than it be all-consuming and unforgiving. We each need a recovery support team – people and resources we can call upon to help us achieve and maintain a stable recovery. The hub of this team is you, around whom everyone else revolves. As you come to learn more about yourself, and your health issue – you’ll feel more of a valuable contributor to the team. The more you know, the more you are able to understand, which means you can have a more engaged and informed dialogue with your doctor/therapist. I have spent hundreds of hours, over the years, reading and learning and listening and talking about my recovery needs. I’m gently proud of myself for doing this. I have a more spacious life now, with more freedom and peace. Learn, learn, learn all you can about yourself, and your health issue. Become The Expert on your recovery needs! 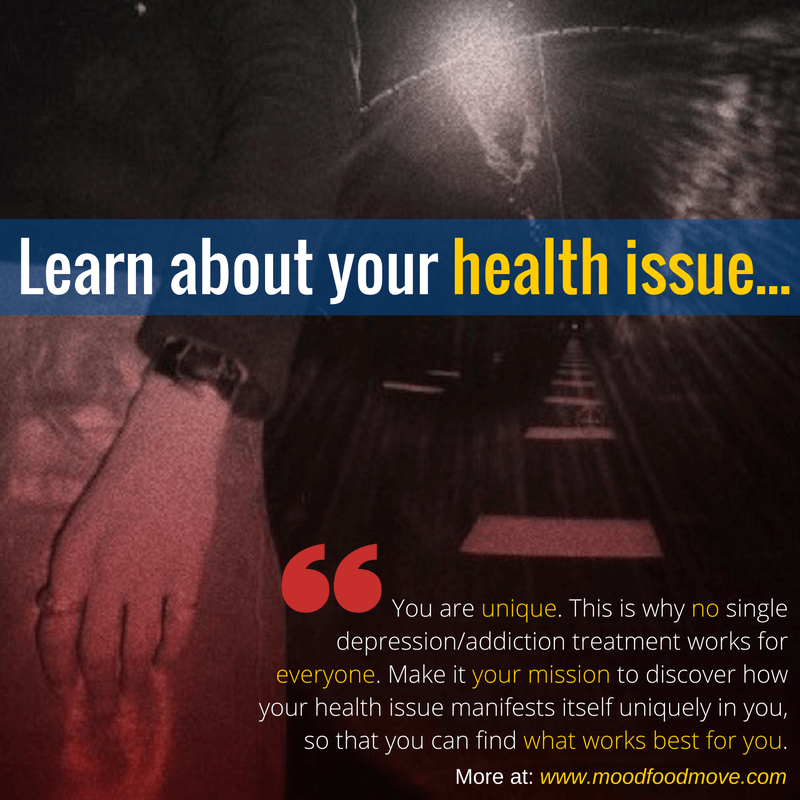 *This article was written when moodfoodmove’s focus was people affected by depression and addiction. Whilst we very much still care about this group, our advice re taking better care of yourself (via good nutrition, healthy lifestyle and a positive mindset) applies equally to all of us. We ALL need to take better care of ourselves. Why Resilience is a Superpower! Chamomile Tea, is it Nature’s Benzo?